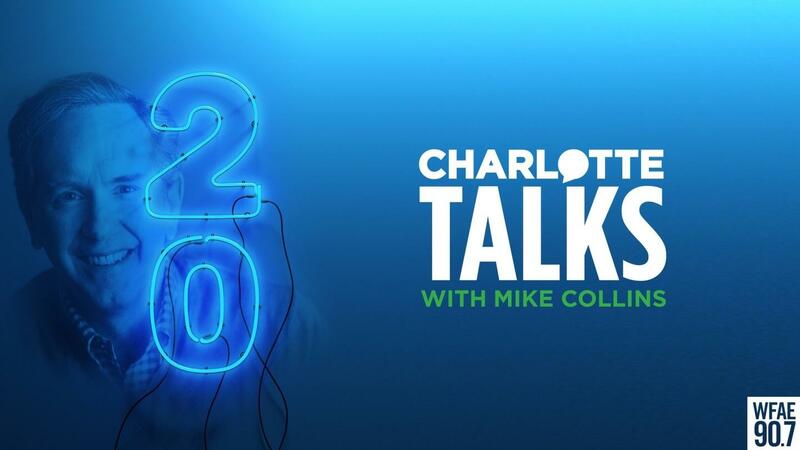 Launched in April 1998, Charlotte Talks with Mike Collins has become the region's exclusive forum for the discussion of politics, growth, the arts, culture, social issues, literature, human interest, the environment and more. If something is of interest to the Charlotte region, listeners and leaders know the topic is bound to be discussed on Charlotte Talks. Learn more about Charlotte Talks. On Friday, April 20, we celebrated 20 years on the air. Take a look back at some of our memorable moments, see Mike Collins age, and get a sense of the stars who have appeared on the show on our anniversary page. 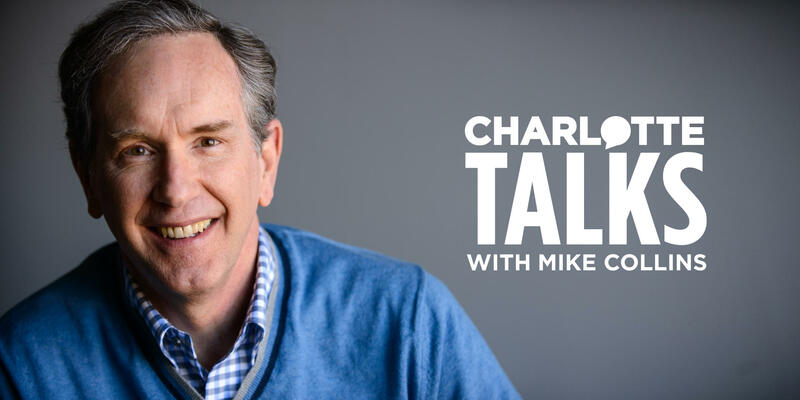 We'll talk about the difficult conversations that are essential to have between Boomers and their aging parents on this edition of Charlotte Talks with Mike Collins. A panel of experts will talk about ways to make the conversations easier to start and easier to have and about what sorts of things should be discussed. We'll also talk about a study that resulted in "The 40/70 Rule," which refers to conversations 40 year olds should have with their parents when the parents are 70. Joins us to hear some conversation tips and to ask your own questions on the next Charlotte Talks. Ira Flatow and Science Education Ira Flatow, host of NPR's Talk of the Nation Science Friday, will be on the show during this edition of Charlotte Talks with Mike Collins. We'll talk about science education and getting the general public interested in science. We'll also be joined by two local science experts who work towards getting Charlotteans interested in science. Guests Ira Flatow - Host, NPR's Science Friday Dr. Yvette Huet-Hudson - Professor of Biology, UNC Charlotte Robert Corbin - Science teacher and VP of Learning Experienced at Discovery Place Since this is an encore edition we're unable to talk your calls. The ethnic food series is back today on Charlotte Talks with Mike Collins. We'll explore the wildly popular Mexican food scene. There are many Mexican restaurants in town, but what constitutes authentic Mexican food? And what are the differences between the cuisine in northern Mexico and the southern part of the large country? One of our guests has traveled extensively in Mexico to meet some of its chefs. We'll find out what he learned and talk about some favorite Mexican food recipes. Guests Frank Scibelli - Owner, Cantina 1511 Peter Reinhart - Chef-on-Assignment, Johnson and Wales University Contact the show: 704-926-9323, 800-603-9323, charlottetalks@wfae.org or Charlotte Blogs. A Purple State of MindOn this edition of Charlotte Talks, we meet former college roommates from Davidson College who met in 1985. It was the first year as a person of faith for one roommate, the last year for the other - this produced many discussions and arguments their sophomore year. After college, they lost touch and when they found each other years later, they never talked about those discussions until filming their documentary, "A Purple State of Mind." A conversation about faith, politics and lessons learned on Charlotte Talks. Guests:Craig Detweiler John MarksMore information about the film: www.purplestateofmind.com. Rose Rock A couple of weeks ago, Rose Rock, comedian Chris Rock's mother, was in town and was to join us on the show. We weren't able to do that interview live as planned, but talked to her later that day, and on this edition of Charlotte Talks, we'll air that conversation. Mike Collins and Rose Rock talk about what it takes to raise over a dozen children, keep a family together, and why Chris Rock still looks to his mother to gauge his success.